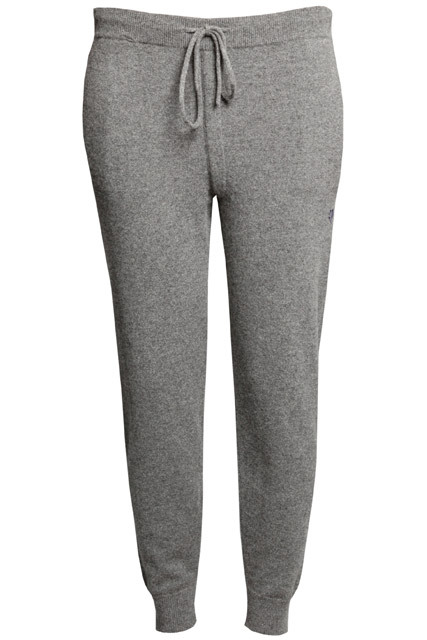 Ladies, it's time to ditch the embarrassing tracksuit and start lounging in style! Chinti and Parker, the London-based brand specialising in luxury knitwear, cotton and cashmere, has designed an exclusive 10-piece capsule collection for Net-a-porter. Perfect for updating our winter wardrobe staples, this eco-friendly label makes utterly chic and cosy day-wear – ideal for lounging around the house on those lazy winter weekends. Our lust-have pieces are the hooded cashmere cape (tapping one of this season’s biggest trends) and the super-luxe grey cashmere pants – perfect for concealing those excess Christmas pounds! But what’s more, Marie Claire is launching a special new competition in our January issue, giving you the opportunity to win a Chinti and Parker t-shirt. Customised by a top designer each month, readers can enter for the chance to snap up this one-off piece – with all money will go to a charity of the designer’s choice – so it’s another great way to look fabulous for a cause. Marie Claire’s January issue will hit the shelves on 2nd December.